Microsoft and Nokia scored a pretty big win in the enterprise as the latter has announced that Coca-Cola selected the Nokia Lumia for its select salesforce in Vietnam and Cambodia. The phones will be used for processing orders, equipment validation and will improve Coke's execution in the market. The Nokia Lumia with Windows Phone 8 will allow the beverage company's employees to use Microsoft Office and sync with Microsoft Exchange, SharePoint, Lync and Office365. The platform offers integration with Outlook. Security is important for smartphones being used in the business world and the Nokia Lumia has hardware-accelerated encryption, a secure boot, sandboxed apps and is capable of being managed from a remote location. This means if a Coke employee leaves his smartphone on the floor of a bar, the confidential information inside the phone is protected. "Our collaboration with Nokia and Microsoft enables us to utilize our sales automation and market execution tools on two very progressive platforms. We will be able to activate our teams with capabilities that enable us to further improve our execution and customer services by obtaining actionable insights. The Nokia Lumia and Microsoft platform fit our enterprise landscape well. "-Javier Polit, Chief Information Officer of the Bottling Investments Group, The Coca-Cola Company. 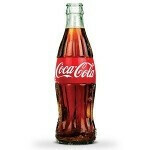 The specific Nokia Lumia model that Coke will be using has not been disclosed. neither coke nor soda is harmful, if you drink under a limit. The same thing applies to EVERYTHING we eat or drink. Even water can kill us if we drink more than a certain amount in a period of time. dnt be such a baby! yes....so coke not for babies,be baba first! !milk is enough for you! I am enough grown up.you talk like babies senselessly!!! No duh.. It's still the #1 brand in the world. I don't like coke products and I don't like windows so the 2 of them seem to go together. So, I guess it will be no surprise to see Nokia at American Idol's finale now, officially. Good point. Wonder if Ford will start including them with car sales to work with their Microsoft Sync in-car services. Lol. Birds of a feather flock together.